When you are looking for speed on the soccer field, the Nike Youth Mercurial Vapor X soccer cleats might be for you. To be the fastest soccer cleats, the Mercurial Vapor X utilizes a supersoft synthetic upper to limit the weight and give the player control of the ball without restriction. The soft sockliner holds the shoe tightly to the foot, creating a feeling that the shoe is an extension of the foot. The Mercurial cleat pattern creates increased traction, enhancing acceleration in and out of cuts and turns. Sometimes inches are the difference in scoring the goal or not even having a chance. The Nike Mercurial Vapor X soccer cleats might not be for you. 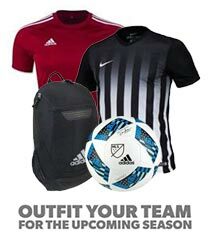 Check out the Adidas Youth F50 speed boot or Puma Youth evoPOWER 1.2 soccer boots. 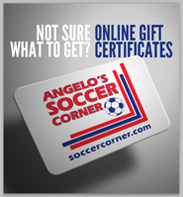 Get all your soccer needs at SoccerCorner.com.